“Tika Bubble” is a picture card match game to pair items that are related, e.g. fruits and their colors, numbers and quantities, costumes and professions, etc. The child entering the world of a tribe sees items captured into bubbles at the left and right sides of a totem. The child is asked to recognize the pairs of related items, grab the corresponding bubbles at each side of the totem and bang them simultaneously at the spikes which are at the center of the totem. 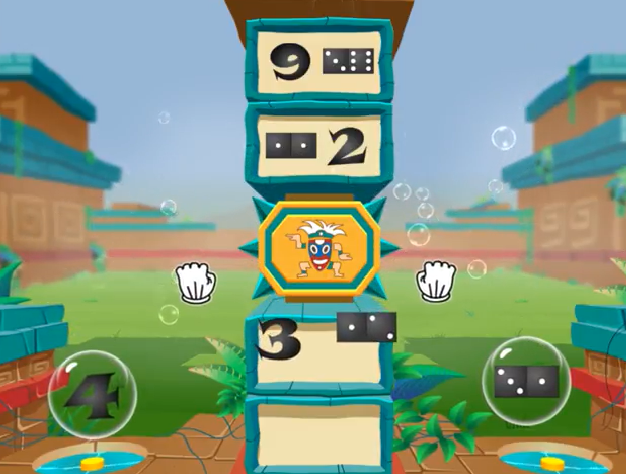 This unique game helps a child to improve the eye-hand coordination for both sides of the upper body, which is an indication that both sides of the brain are communicating and sharing information with each other.